Seth MacFarlane may be Fox’s cartoon golden boy with “Family Guy” and “The Cleveland Show,” but his first time hosting the Oscars was met with mixed reviews. Check out Blake’s thoughts during his live blog of the Oscars. RT @crusephoto: @sethmacfarlaneWould you host the #Oscars again if asked? // No way.Lotta fun to have done it, though. 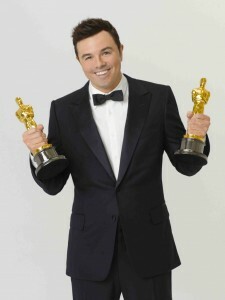 What did you think of Seth MacFarlane’s hosting? Who would you like to see instead next year?